One person is in custody following an undercover operation conducted by the Chatham-Savannah Counter Narcotics Team (CNT). 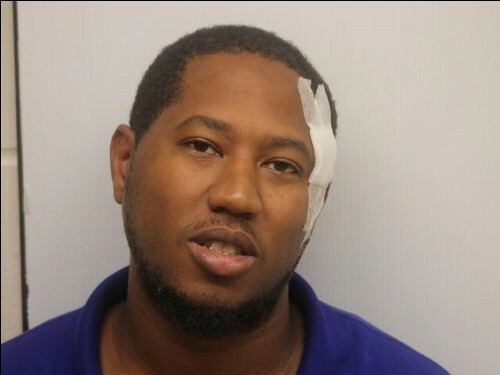 "Late yesterday evening, CNT agents arrested 27-year-old Joel “G” Baker of Savannah. Baker was arrested after selling cocaine to an undercover CNT agent," a CNT spokesperson says. "Following the drug deal, agents attempted to arrest Baker who tried to flee and fight with agents. Baker was taken into custody and treated for minor injuries. He had various forms of controlled substances on him at the time of his arrest." CNT’s investigation into Baker began in March 2016 "following information a male by the name of “G” was selling controlled substances at Studio 6 Hotel located at 60 West Montgomery Crossroads. CNT undercover agents made contact with Baker and he sold agents drugs over a period of two months," the spokesperson says. "During CNT’s investigation, it was determined Baker was living at the hotel and regularly switching hotel rooms in an attempt to avoid law enforcement. He has a long criminal history and was on probation at the time of his arrest." Baker remains in the Chatham County Detention Center after his arraignment hearing earlier today in the Recorder’s Court of Chatham County, Georgia, where he was denied bond. The drugs seized in last night’s operation has an estimated street value of up to $1,500, according to CNT.